Last week, we explored how local advocates are working to conserve native plants. This week, check out how powerful partnerships and education are helping make this happen. While dedicated volunteers like Sister Janowiak and River City Wild Ones’ Amy Heilman are spearheading native planting in Grand Rapids neighborhoods, business coalitions are beginning to emerge on the supply side. The Native Plant Guild is a local coalition that helps the small but growing number of native species-based landscaping businesses to connect with an increasing volume of interested customers. The directory allows customers to browse for native plant growers, garden designers, and installation professionals. Kanouse Outdoor Restoration, for example, offers a variety of targeted land restoration services, including controlled burns and reseeding. Common pushback from residents and horticulturalists against using more rain gardens and native plant gardens in homes and public spaces is that these gardens “look messy,” particularly in late autumn and winter when plants are dormant, and their remains from the previous year are composting. Yet the more likely reason that many public native gardens look messy is because the few native gardens which exist in Grand Rapids are tended almost exclusively by volunteers, and therefore infrequently — unlike many public lawns and green spaces. Local pollinator advocate Gabrielle Tremblay-Sullivan originally came into the native plant space with the intention of bringing her beeBOX habitat enhancement features to the consumer and agricultural markets, but soon realized that more education about native ecosystems is necessary in both communities, and has shifted her focus for the time being towards helping local conservancy groups inform the public about the importance of native pollinators — demand for which is high. “Sometimes bees are seen as ‘the bad guys’ even though they play such an essential role in sustainable ecosystems,” says Tremblay-Sullivan. “The vast majority of over 400 bee species found in Michigan are gentle, solitary bees. Each female is independently responsible for the next generation, and doesn’t have a hive of helpers to defend her nest like a honeybee queen. Still others, such as Master Naturalist for Blandford Nature Center and wildcrafting hobbyist Kristin Tindall, are implementing native gardens and permaculture techniques in their own urban backyards. Tindall’s modest-sized yard is home to a mix of native edibles and cultivated vegetables such as wild carrot (first year Queen Anne’s Lace), hazelnuts, dandelion, yellow goldenrod, lamb’s quarters, and many others. 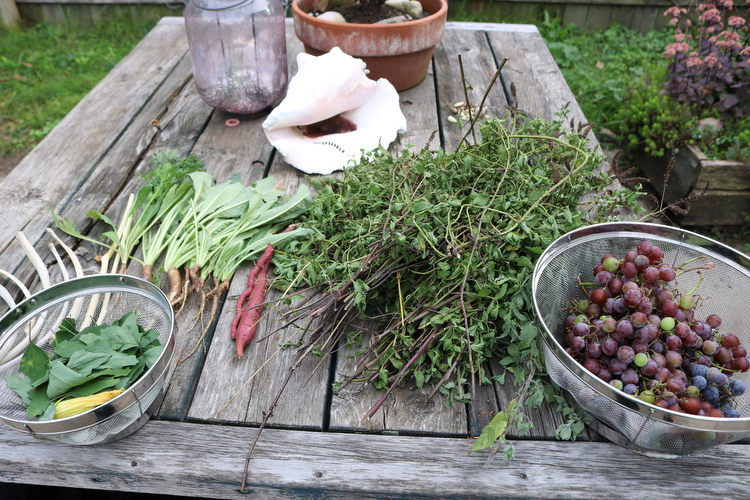 The resulting food forest produces edibles throughout nearly every season. Compared to the standard yard, maintenance entails more harvesting and pruning than it does mowing and watering. While native plant advocates fight to promote greater ecosystem awareness in residential and neighborhood communities, conservation organizations such as the Land Conservancy of West Michigan and Blandford Nature Center are joining forces to nurture native open spaces on a larger scale — with help from an unexpected source. Commercial real estate developer Third Coast Development acquired the former Highlands golf course on Leonard in early 2017 for the purpose of developing homes and condominiums, which sparked outrage among a small but potent portion of the public when news of the acquisition was leaked. Shortly after their acquisition, however, Third Coast turned around and sold the 121 acres of undeveloped land to the Land Conservancy of West Michigan, in partnership with Blandford Nature Center, for land conservation and public use. 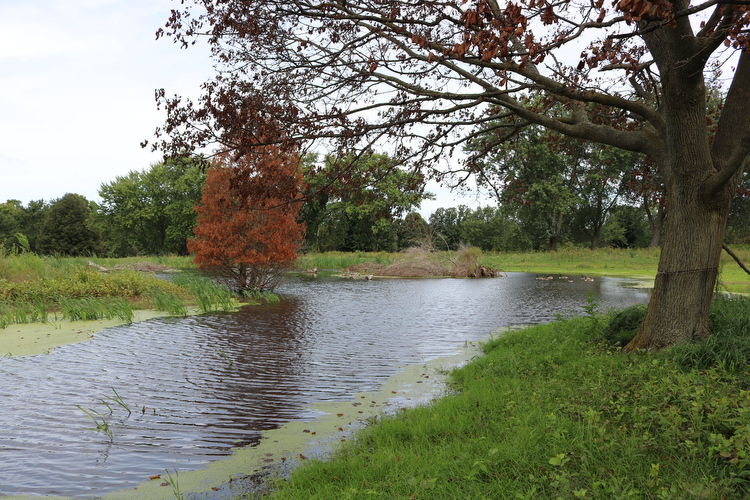 While news of Third Coast’s sale of The Highlands to the Conservancy and Blandford made a big splash in early 2017, what few people in the public realized is that Third Coast Development donated $500,000 of the land’s sale directly back to the Conservancy to support restoration work on The Highlands. “They’re really the hero of the story,” says Joe Engel, executive director of the Land Conservancy, whose excitement over the project is palpable, even a year and a half in. With the help of the US Fish & Wildlife Service and a wide range of local funders, the Conservancy and Blandford have already begun wildlife restoration on the Highlands by removing drains on the north of the property, restoring a wetland area, and conducting controlled burns and native plant reseeding of the surrounding 10 acres. Today, just 18 months after the controlled burn and reseeding, the area around the newly reformed wetlands is a veritable garden of first-year perennials and biennials. 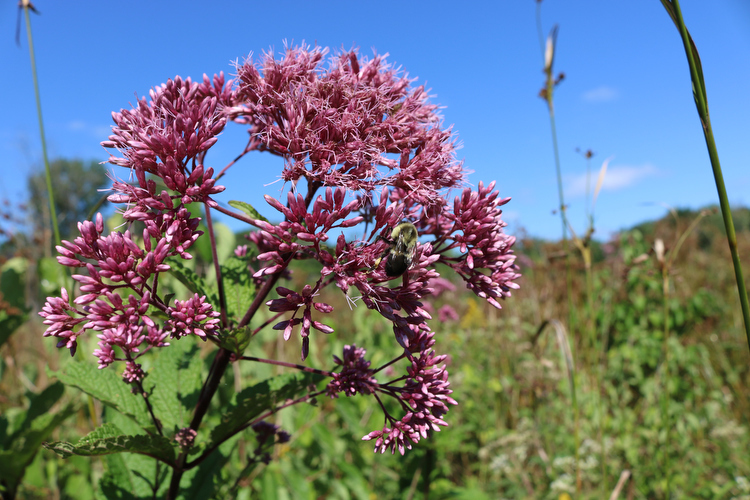 As work on the Highlands progresses, Blandford Nature Center continues to provide ongoing educational programming, such as their upcoming Fall Wild Edibles workshop, led by Tindall. 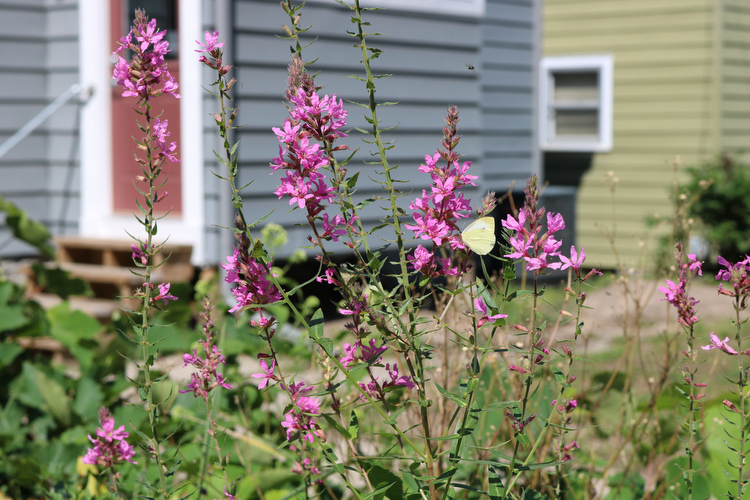 Meanwhile, other local conservation organizations are doing work to combat invasive species, such as Kent Conservation District’s free programming for mitigating the effects of invasive species, such as black swallow-wort, which poisons monarch butterflies. The author herself, earlier this summer, applied the “back to Eden” gardening method to her front and back yards in South Hill by covering the lawn with cardboard and wood chips, and is now using them as medicine and food gardens. 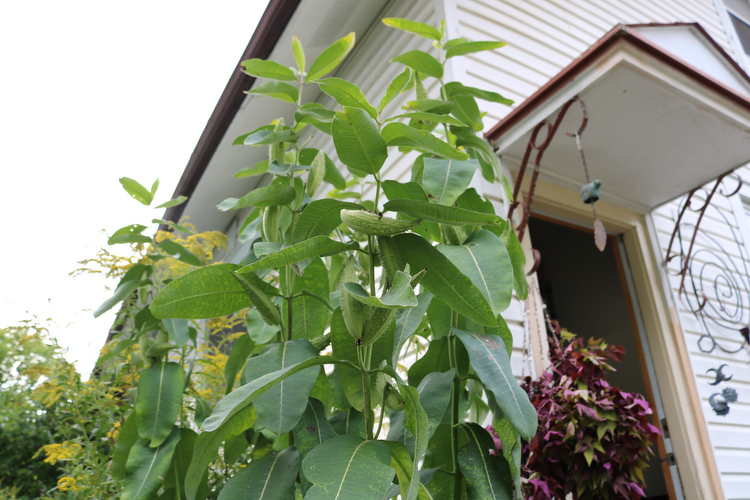 A rogue second year mullein plant, for example, provided a bumper crop of blossoms to be used in homemade cough syrup. Regardless of what people and organizations are motivated by — ecojustice, species conservation, climate change, spiritual alignment, or simply improving one’s own personal health — native plant ecosystems offer an incentive for everyone.